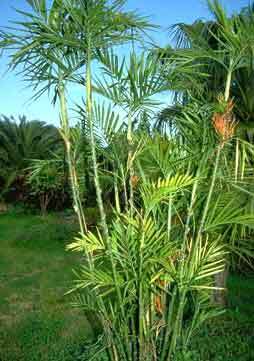 Description: Attractive indoor palm that produces bamboo like cane which in time form a tall, coumnar shaped plant. Perfect for indoors as it tolerates low light well. Requires a rich soil with an abundance of water and is generally reliable and easy to look after. Keep out light, fertilize during growing season and keep the soil moist all of the time.